John D. Richardson has been providing sound financial advice to his clients since 2005. He graduated with a Bachelor of Arts in Political Science, with a minor in Spanish from the University of Tennessee, Knoxville. In 2015, he earned the Retirement Income Certified Professional (RICP®) designation through the American College and uses this specialization to advise his clients on a variety of financial matters including retirement planning, investment planning, and risk management. The primary focus of John’s business is helping successful people align their financial decisions with their values. John began his career with Peachtree Planning of Tennessee in 2015, after working as a financial consultant with another financial services company for over ten years. John believes in the importance of protecting the promises he makes his clients, and for that reason he is a very active member of the National Association of Insurance and Financial Advisors (NAIFA). In 2018, John was the recipient of the NAIFA Young Advisor of the Year (YAT) Leader of the Year award which recognizes the top financial professional in the nation, based on service to his clients, his community, and his fellow financial professionals. This award often reflects the financial professional who fellow financial advisors would turn to for advice. Within NAIFA, John has served in several leadership roles at the local, state, and national levels. 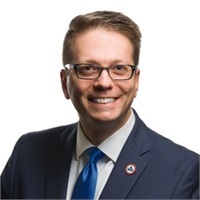 He currently serves NAIFA-Tennessee as the President-Elect and NAIFA as the National Young Advisor Team (YAT) Committee Chairman. John’s favorite NAIFA activities include his participation in the Leadership in Life Institute (LILI) and his twice a year trips to Washington D.C. to lobby on behalf of his clients regarding regulations that could negatively impact their financial well-being. John is a natural attractor and connector of people. Prior to his career in the financial services industry, he was a traveling live events promoter and advisor for nationally syndicated talk radio host Dave Ramsey’s company, The Lampo Group. As a financial representative with Peachtree Planning, in 2017 John was the recipient of the Peachtree Planning Manpower Award which recognized his successful leadership in the areas of new financial advisor recruitment and career development. The two-character building experiences that John credits most for developing him into the person he is today include the five summers he sold books and Bibles door-to-door with Thomas Nelson Publishers, while he was in college, and the time he invested as a youth in obtaining the rank of Eagle Scout with the Boy Scouts of America. John and his wife, Dr. Kelly W. Richardson, DPT, live in Nashville, TN. John enjoys giving back to his community, and currently serves in leadership roles within several organizations including: Assistant Scoutmaster, Executive Board Member, and Heritage Society Donor with the Middle Tennessee Council of the Boy Scouts of America, Officer of Elections with the Davidson County Election Commission, Fundraiser and Volunteer with numerous political campaigns in Middle Tennessee, Member and Volunteer at his church The Village Chapel, Member and Volunteer with the Music City Tres Dias Christian Community, Brother of Observance Lodge #686 Free & Accepted Masons of Tennessee, 32nd Degree Member of the Scottish Rite (Nashville Valley), and a Shriner with the Al Menah Shriners. In his leisure time, John enjoys playing strategy table top board games with his friends, attending standup and improv comedy shows, traveling to fun and exciting destinations with his wife Kelly, and talking to strangers with the hope of making new friends. His office is located at: 9019 Overlook Blvd, D-1, Brentwood, TN, 37027.